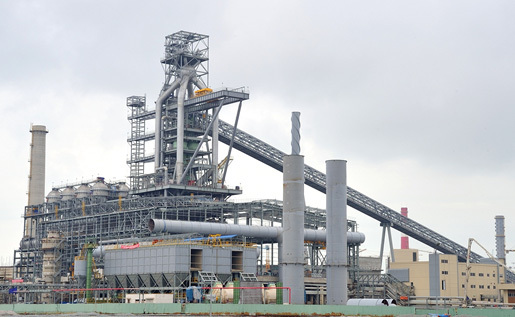 Tokyo --- JFE Steel Corporation announced today that it would acquire a five-percent stake in Formosa Ha Tinh Steel Corporation (FHS), a joint-venture company that is currently constructing Vietnam’s first integrated steelworks. The project is being spearheaded by FHS’s founder, Formosa Plastics Group (FPG), a Taiwanese integrated supplier of petrochemicals. JFE Steel and FPG expect to formalize the investment agreement in the near future. JFE Steel will also provide the project with technical support. The integrated steelworks will include a hot rolling mill, blast furnaces and steelmaking facility on a site measuring more than 2,000 hectares in Ha Tinh province. Facilities will begin operating sequentially from this autumn. FHS is investing USD 10.5 billion in the first phase of the project. Initial crude steel output capacity is expected to be approximately 7 million tons per year. JFE Steel had been considering opportunities to establish an integrated steelworks in Southeastern Asia or India to meet the increasing demand for steel products in emerging countries. Vietnam is experiencing steady economic development and stable expansion of its domestic steel demand. Steel demand in Southeast Asia is also forecast to grow steadily. Vietnam is expected to become a key supply base for steel products used locally, as well as in the Southeast Asian region and beyond. Under the JFE Group’s fifth medium-term business plan from April 2015 to March 2018, JFE Steel aims to increase annual steel sales to 40 million tons. The company’s investment in FHS will be one of its first major steps toward achieving this target. Once the investment agreement is finalized, JFE Steel plans to begin working with FHS to get the new integrated steelworks operating stably as soon as possible. Going forward, JFE Steel expects to expand the JFE's business network by selling the products made at FHS to our customers.